Darknet Markets have seen exponential growth since SilkRoad was seized, and the upsurge was only boosted after Bitcoin hit over $20K last year. This Pushing Taboo review is an addition to the Darknet market review series we’ve been doing over here. The reason we’ve taken to scribbling this darknet market series up is because there are hundreds of Darknet Markets out there, and not everyone has the time, energy or judgment required to analyze every single Darknet market and be able to filter out the better ones from the ones not as impressive. We simplify the whole analyzing thing for you, we’ll be dissecting the Darknet market to its core, bringing out every single feature it comprises of and compare and contrast it with other Darknet markets. Finally, at the end of this Pushing Taboo review you be the judge and jury of if the marketplace deserves your attention or you’d rather pass. Pushing Taboo is a single-vendor marketplace hence I’d urge you to not compare the features of the marketplace with other multi-vendor marketplaces. That’s so because this marketplace is run by a single vendor, hence it has extremely low number of products, security features too wouldn’t be up to the mark considering how the admin himself is the vendor hence the need of Escrow, 2-FA, Multisig etc. do not arise. Is Registration Required on Pushing Taboo? Yes, and No. Confused? Don’t be. Pushing Taboo has a mandatory registration requirement, but the twist is it’s automated. Meaning users can simply go on the marketplace, place their orders without registering and after the order is placed the system auto-generates a login username and password for the users. Hence users do get an user account but they don’t actually have to register manually. This user-account can be used to login and track the status of the orders at a later time. The user interface is how “understandable” the layout, buttons, text of any website is. And it’s of utmost importance because even for the most feature-rich marketplaces if they lack an easy user-interface and users can’t use them all those rich features are worthless. Well, Pushing Taboo has an extremely easy user-interface, the site is dominated by the colour red making it bold. There’s a top-bar consisting of all the important links such as Home, News, About Us, Mirror Links, Terms and PGP key. The left side of the top-bar shows the real-time Bitcoin price and for registered users the link to access the account lies there as well. There’s a left sidebar which comprises of the product categories which helps users find the products they’re searching for faster than having to scroll through all the available products. All of the rest of the screen is where products are displayed based on the product category chosen on the left-sidebar. In a nutshell, the layout is pretty easy to understand and even a first-timer can go ahead and order products without getting lost over there. How to Order on Pushing Taboo and what’s the Mode of Payment? Pushing Taboo despite being a single-vendor marketplace didn’t take things lightly, unlike most other single-vendor marketplaces which only act as a web-page and need the users to manually mail the admin in order to place orders, it rather has a completely automated order-process! Simply get to the product you wish by choosing a category from the left sidebar and then clicking on “More” next to the products. On the next page, users get to select the amount of product they wish to order, click on “Add to cart” right next to the amount of product you wish to order. The next page would ask you for the shipping address and your PGP key, note that the PGP key is mandatory and orders can’t be placed without one, fill in the info and then the payment information is displayed. Every order has to be paid within 2 hours of its creation, after which the order is deleted and you’ll need to redo the complete thing to get the order done. All orders can be paid only using Bitcoin and no other cryptocurrency or form of payment are accepted. What Products are Available on Pushing Taboo? Pushing Taboo has exactly 5 products as of now; even though the number is extremely low it needs to be noted that it’s just one person selling these 5 products so the low number isn’t an indication of the marketplace’s incapability in any way. It has 4 primary categories, namely LSD Blotters, Raw LSD Crystals, Tryptamines, and Legacy Leftover Blotters. LSD Blotters has 3 products which include VoidRealm, Gaze, and Goblin’s Den. The cheapest LSD Blotter starts at USD $1.3/tab and goes upto USD $2.6/tab. Raw LSD crystals has only 1 product namely Aztec (99% pure) and is priced at USD $10.5/tab. It’s followed by Tryptamines which too is a single-product category for now and only has Changa which is the most expensive product on the marketplace and costs USD $50.00/tab! Legacy Leftover Blotters is currently empty and doesn’t have any products it’s basically the category where they enlist their leftover blotters from a previous batch. Note that each of these products can be ordered in Bulk. As much as 2000mg. of Raw LSD Crystals can be ordered in a single go for USD $21,000. 1000 VoidRealm tablets can be ordered for USD $13,000, Teacher’s Gaze has a maximum order limit/order of 5000Tabs for USD $10,000, and finally, a maximum of 1000 Goblin tablets can be ordered for USD $2370. Changa has a lower limit and only 10grams of it can be ordered for USD $500 at a time. So in a nutshell, despite being a single-vendor marketplace and having lower individual number of products it does have a large-enough stock of its products and would cater to most user’s needs regardless of the amount required. What are the Security Features Offered by Pushing Taboo? 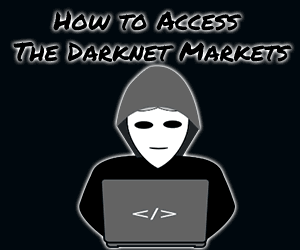 Generally, most Darknet Markets offer security features such as Escrow, 2-Fa, multisig etc. Well, this one doesn’t. Simply because, on other marketplaces, Escrow needs to be implemented only so that the marketplace can supervise the trade and make sure the vendor or the buyer do not scam each other. Well in the case of Pushing Taboo, The vendor him/herself is the “marketplace” hence if he/she wishes to scam users he/she would be successful either way. So, should you just trust the marketplace? Not exactly. Here I’m sharing the admin’s official profiles on other established marketplaces which have reviews, feedback and complaints as well from other real-users who have dealt with him/her previously. There also is no 2-FA or Multisig available but for the same reasons as mentioned above; those features wouldn’t make a lot of sense for a marketplace like this anyway. It however has a mandatory PGP encryption requirement when placing orders hence it does guarantee your private and personal information wouldn’t be leaked no matter what. What are its Shipping and Refund Policies? It uses “Priority, Untracked” letters for shipping products and orders are shipped couple times in a week; exact days haven’t been mentioned. Registered mail can be opted for above USD $200 worth of orders, however note that they’d require signatures upon arriving. They need around 5-15 days to ship items to Asia, while shipping to Europe is faster and is done within 3-8 days. Products to all other countries are shipped in-between these time-intervals. They do provide a 50% refund for some continents in case the order doesn’t arrive, however for some stricter countries such as Asia, Africa, Europe etc. only 35% refund is possible. If the order however was ordered via Registered mail it stays eligible for a 100% product re-ship and 50% refund regardless of which continent it was ordered for. How to be a Vendor on Pushing Taboo? As mentioned multiple times by now on this Pushing Taboo review; it’s a single-vendor marketplace and doesn’t accept new vendors. You may however e-mail them and wish to be a supplier if both parties agree to the deal; there however is no such written requirement on the marketplace or its forums. So that’s a wrap as far as this Pushing Taboo review goes folks; I hope I’ve brought forward as many features of the marketplace as exist, or would matter. In my personal opinion, considering the amount of research I’ve done on Reddit and other Darknet forums I must say even though there were not a lot of positive reviews, negative reviews couldn’t be found either. And as the vendor’s public profiles on other marketplaces have been transparently shared, it probably is worth a try. But hey that’s just my opinion, do drop your two cents on the marketplace as well as this Pushing Taboo review in the comments down there.